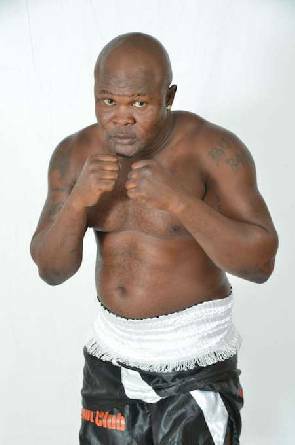 Ghanaian boxer, Braimah Kamoko, popularly known as Bukom Banku, has said emphatically that he is strong and can last in bed. 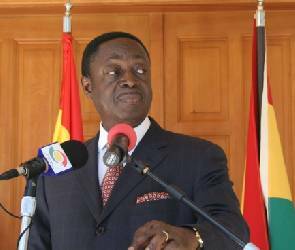 Speaking to Deloris Frimpong Manso on Friday, February 26th edition of ‘Delay Show’, the boxer revealed that he is married to three women. According to him, the three women live together happily in his three-bedroom house. When Delay asked how he handles and satisfies his three wives, Bukom Banku said he hops from one wife to the other. Bukom Banku also disclosed that he has seven cars, one of which was given to him as a gift from President Mahama. The confident boxer also revealed that his whole family supports the president, and he is willing to hit the campaign grounds for him. Catch the Delay Show on Viasat1 every Friday at 5 p.m.